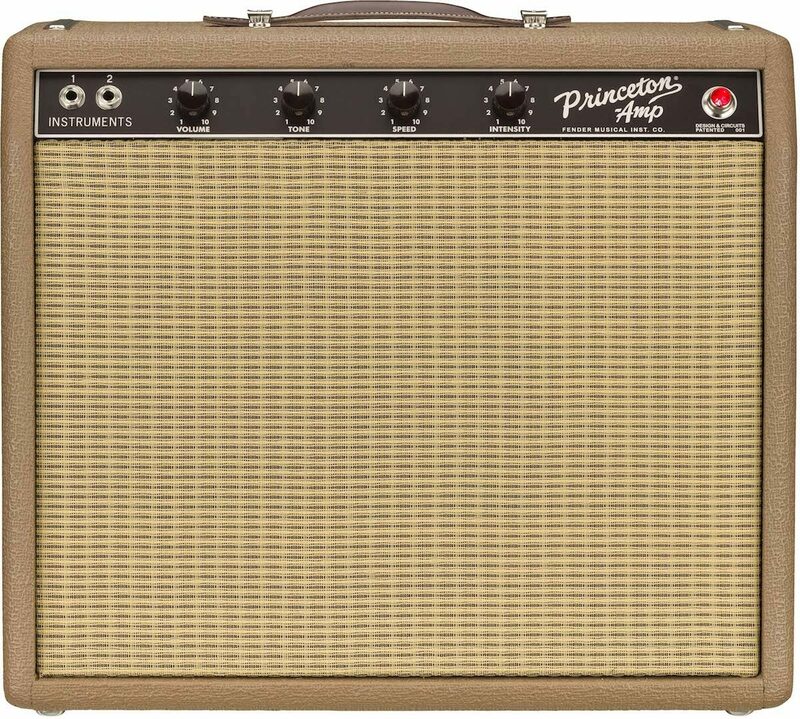 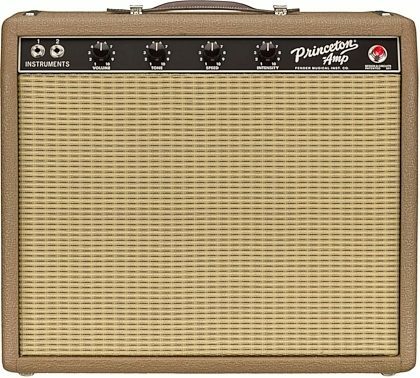 The Fender "Brownface" '62 Princeton amp's sensitivity and smooth organic tremolo made it a longtime studio favorite and the ideal partner for Grammy-winning country artist, Chris Stapleton. 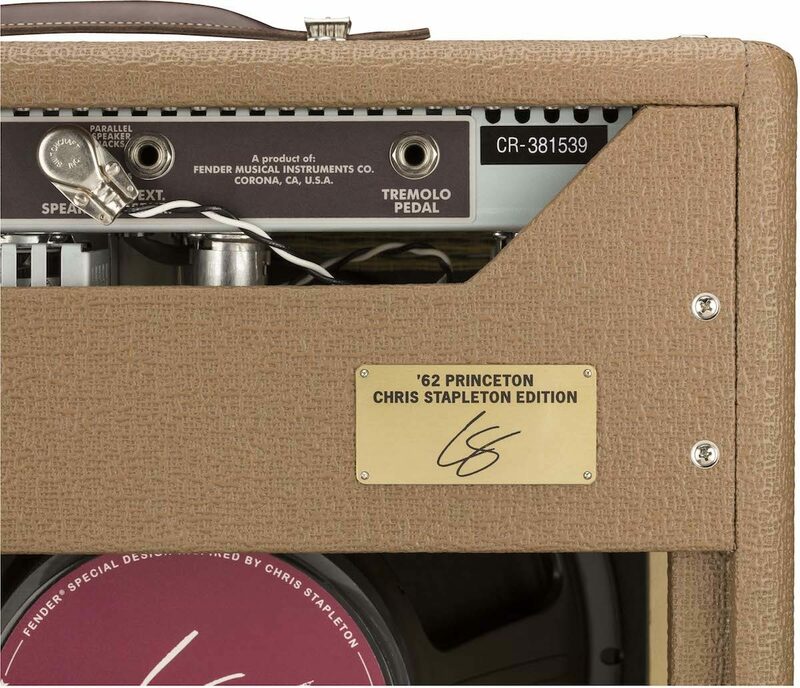 The hand-wired '62 Princeton Chris Stapleton Edition combines the classic 6G2 circuit with Stapleton's favorite features and personally chosen aesthetic touches. 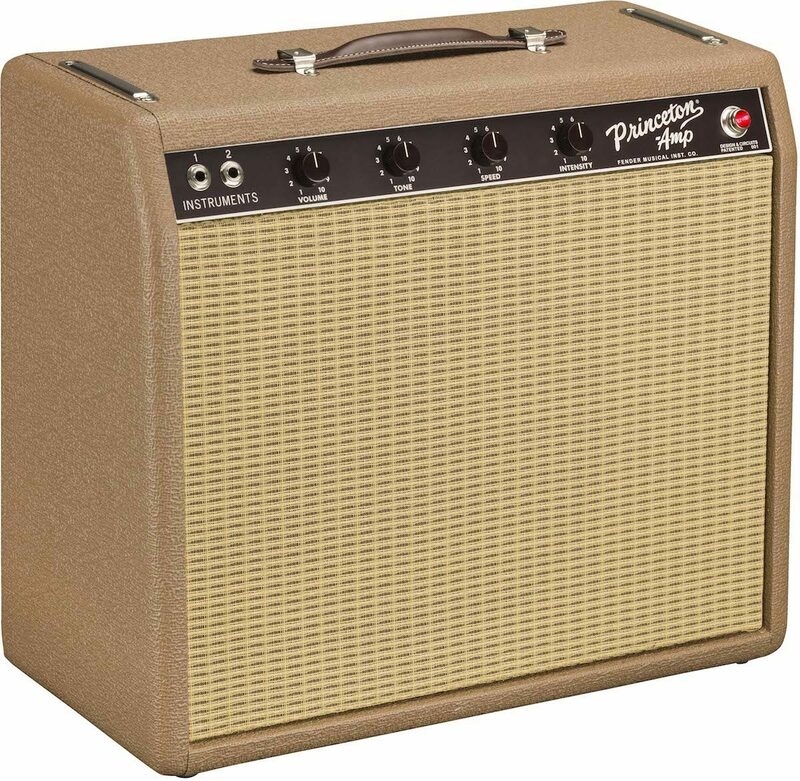 This 12W combo features Fender Vintage "Blue" tone caps, Schumacher transformers, an upgraded Eminence 12" Special Design "CS" speaker, and an output tube-biased tremolo circuit. 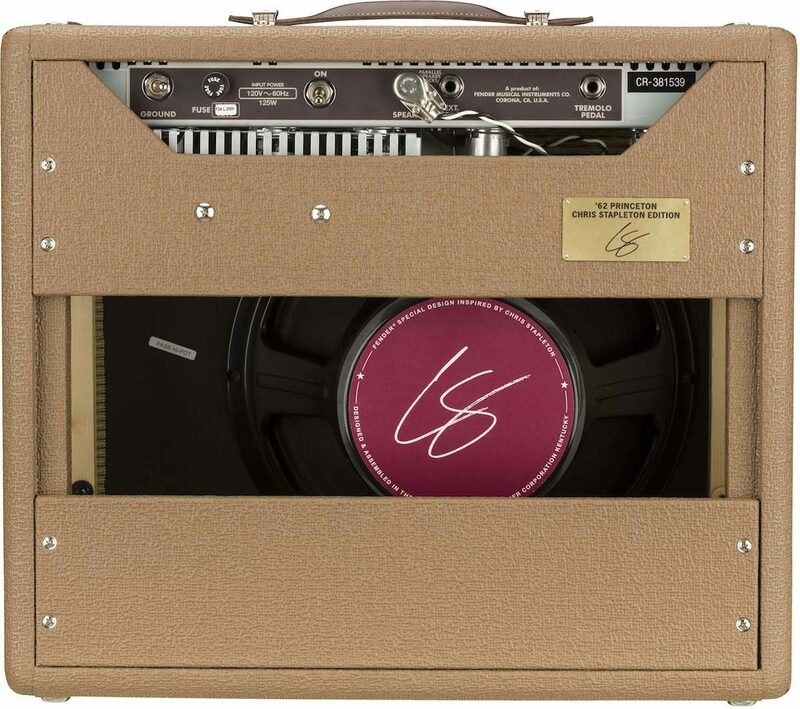 The acoustically resonant solid pine cabinet wears rough brown textured vinyl covering, wheat grille cloth and thick dark brown leather handle, while the dark brown control panel sports dark brown "radio" knobs and the rear panel features an engraved brass plate with Chris Stapleton artwork. 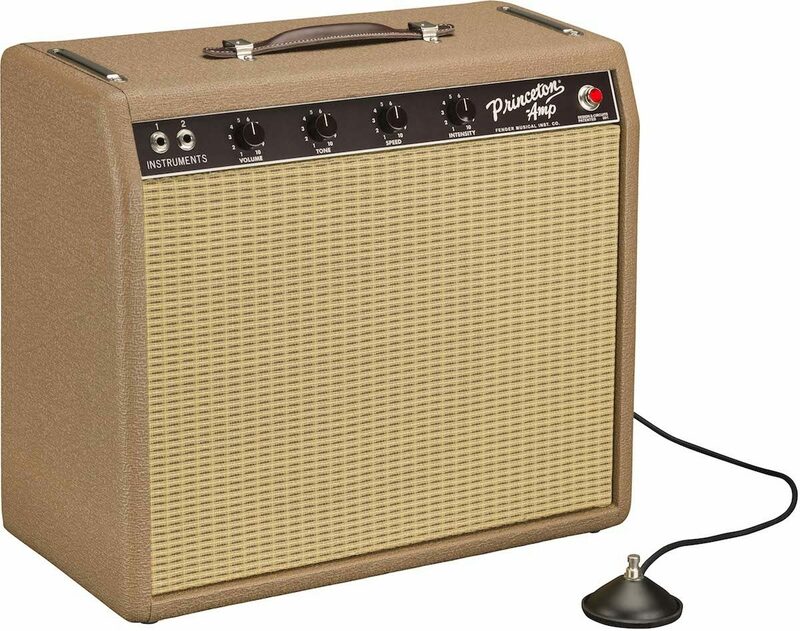 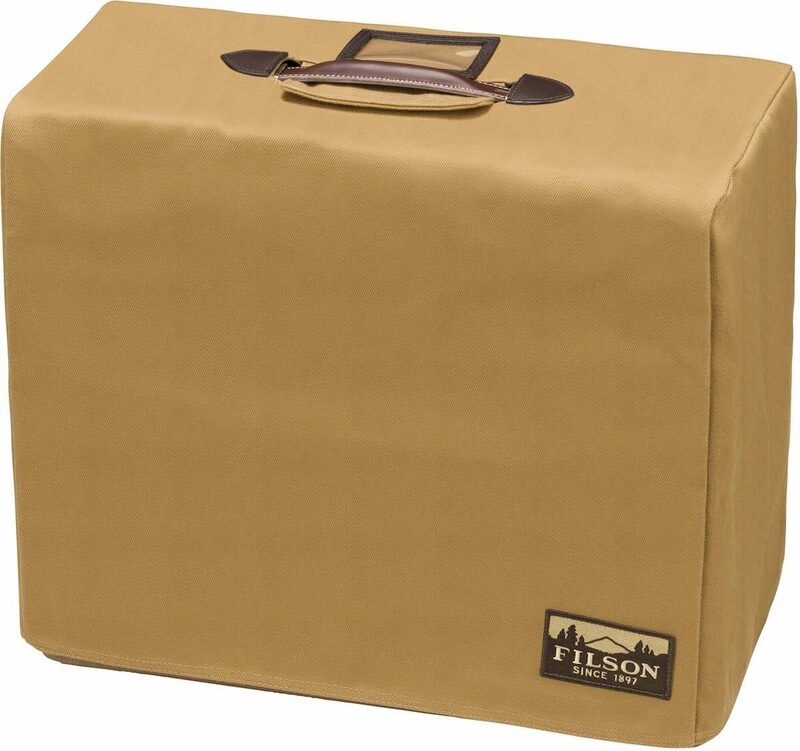 Includes 1-button switch for tremolo and retro-styled Filson heavy fabric cover. 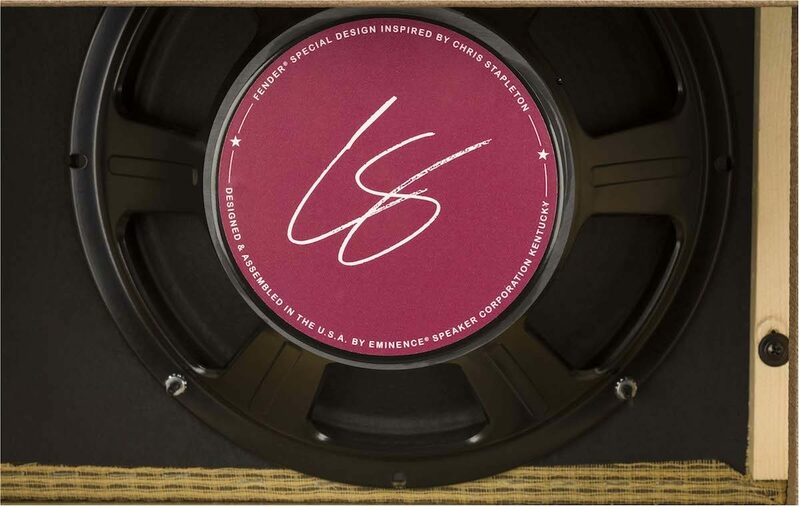 - Speaker: One - 12" Eminence Special Design "CS"